Some great new views from the Cassini spacecraft of Saturn’s tiny moon Atlas were released today. 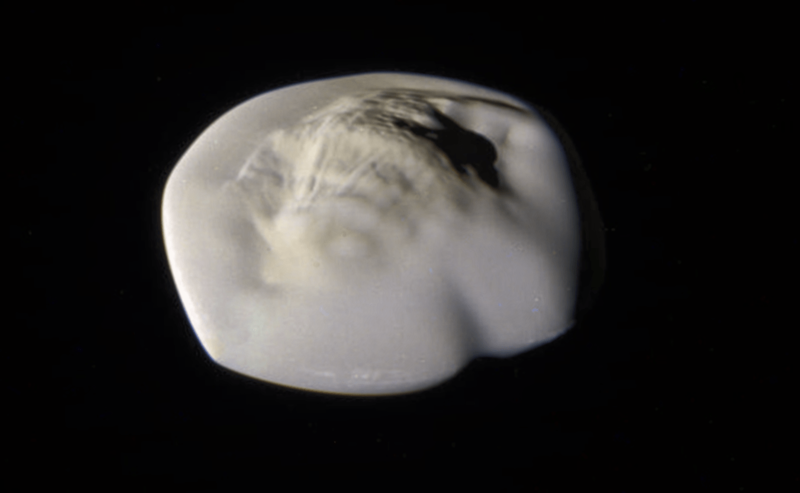 Atlas is similar to another Saturnian “ravioli” or “flying saucer” moon, Pan – a central roughly spherical or oblate body with an unusual broad equatorial ridge. Like Pan, the ridge is thought to have formed from material coming from Saturn’s rings, and also like Pan, the ridge on Atlas appears very smooth, but is significantly larger. Atlas orbits just outside the outer edge of Saturn’s A ring and is very small, only about 15 kilometres (9.4 miles) across, but still larger than Pan. In general, a flat plate of uniform thickness and density has a uniform gravity field perpendicular to the plate. Ie, if it was large enough and thick enough, it would feel like a flat plain. Except at the rim, the field points to the centre; so as you approach the edge, the field swings from “vertical” to “horizontal”, and then back to “vertical” (but inverted) as you pass over to the other side. 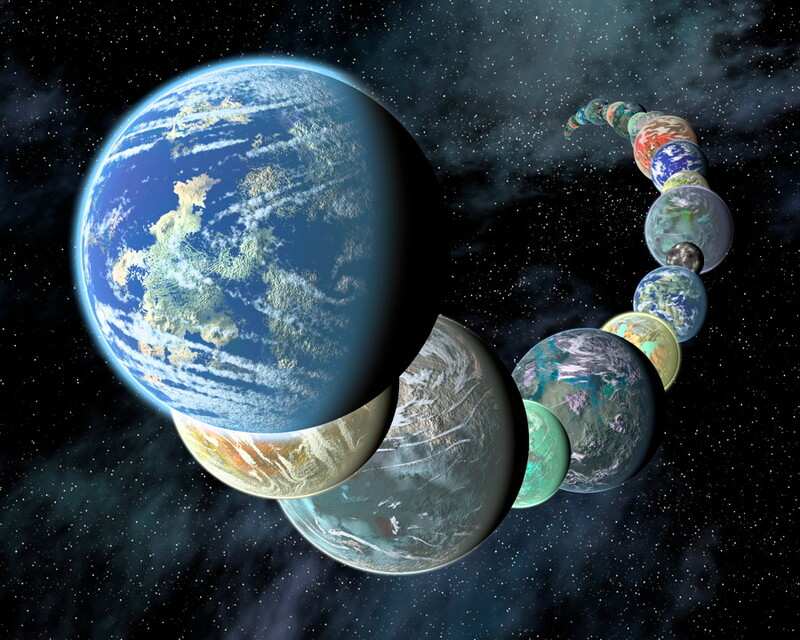 The shape of Atlas’ gravity field would depend on the density of its core and the ridge. I suspect the core is denser, the ridge very fluffy. I suspect the outer rim of the ridge is the least dense. Hence the field along the ridge-face would be pulling diagonally towards Atlas’ core. It would be like climbing a hill, the rim would be like the top of the hill. The greater the density difference betwixt core and ridge, the “steeper” the “hill”. However, the fact that Atlas (like Pan) even has such a distorted shape means that its gravity isn’t strong enough to make even a loose rubble-pile slide around. So the gravity on the ridge, on the core, or on the rim, would barely be noticeable, hence the literal answer to your question is “it wouldn’t feel like anything”. Closest analogy would be like drifting near a very large (and dirty) space-station, except with a very slight tendency to drift up against the surface if you don’t push off too hard, but not enough to feel the pull.